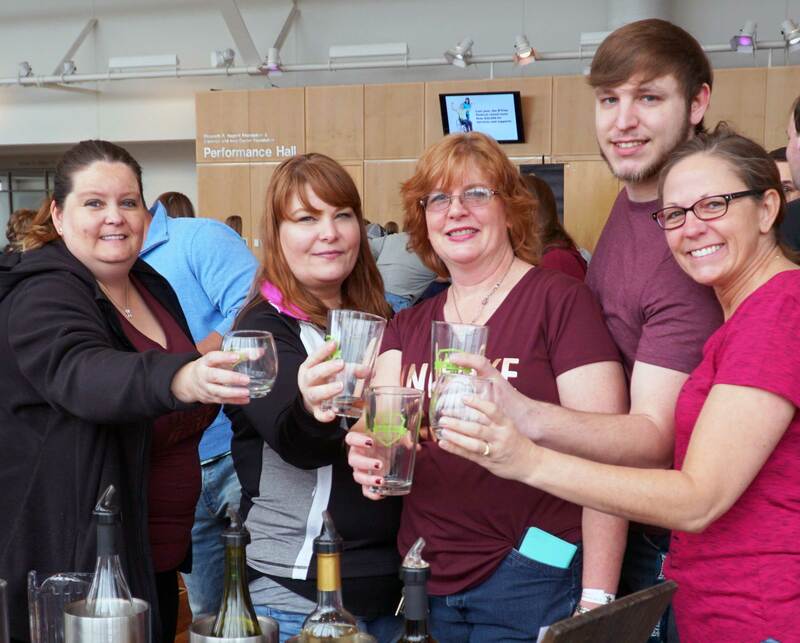 Developmental Services held the 10th annual wine, beer and spirits tasting event in Columbus. The D-Vine Wine and Beer Festival raised $15,300 for individuals with disabilities. From left: Veronica Perry, Tracey Staples, Gwyn Moore, Randall Rothrock and Jerri Streeval show off commemorative tasting glasses. 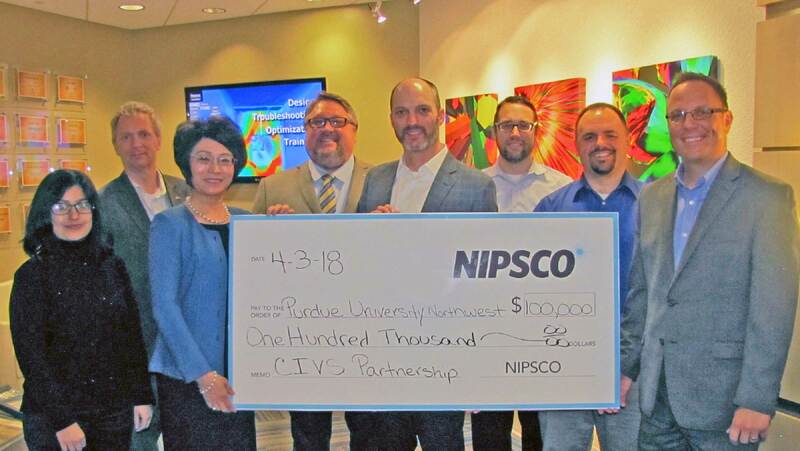 Purdue University Northwest (PNW) and PNW’s Center for Innovation through Visualization and Simulation in Hammond and Westville received a $100,000 grant from NiSource, the parent company of NIPSCO and Columbia Gas companies, to continue student research in first responder and workplace safety. 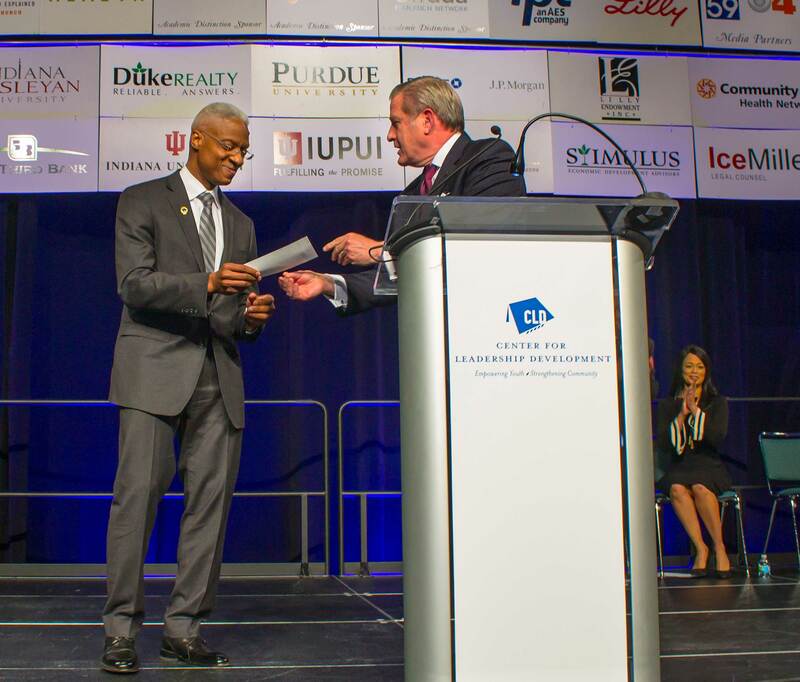 Center for Leadership Development (CLD) President Dennis Bland (l) received a check for a $100,000 donation from Allison Transmission Chairman and CEO Larry Dewey during the organization’s 38th annual Minority Achievers Awards and Scholarship Gala at the Indiana Convention Center. 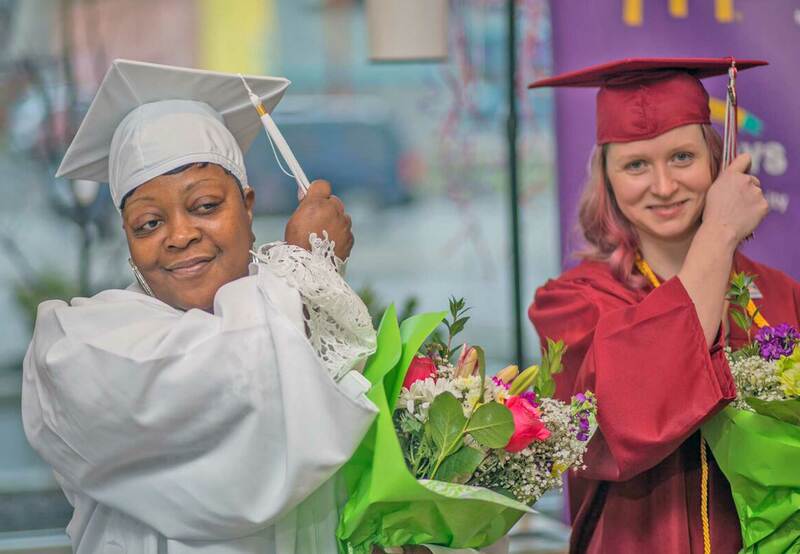 McDonald’s owner and operator Randy Shield held a graduation ceremony in Indianapolis to recognize employees Gloria Atkins (l) and Darci Collins for their achievements. Both Collins and Atkins participated in McDonald’s Archways to Opportunity program, which provides employees assistance to pursue a high school diploma, college degree or educational services. 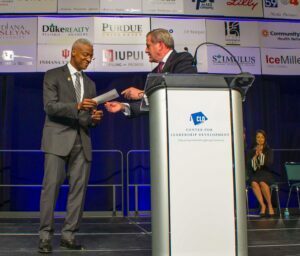 Collins is the first McDonald’s of Central Indiana college graduate. She received an associate’s degree from Colorado Technical University. 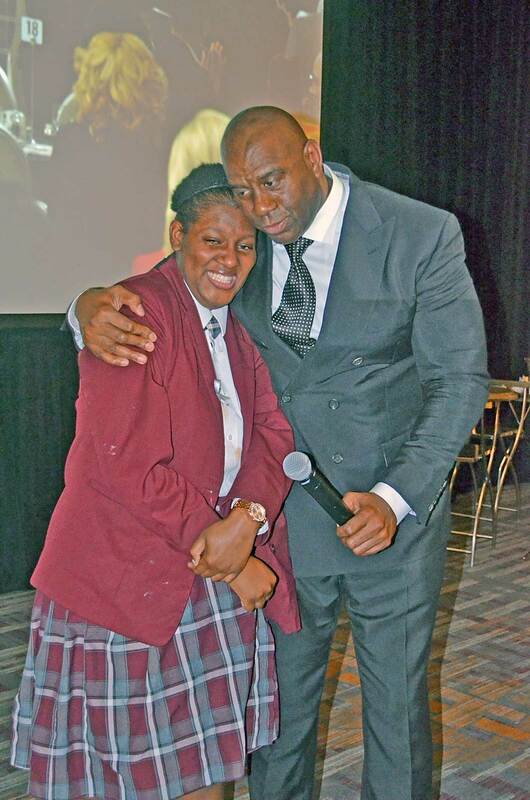 Atkins received her high school diploma through Smart Horizon’s Career Online High School. 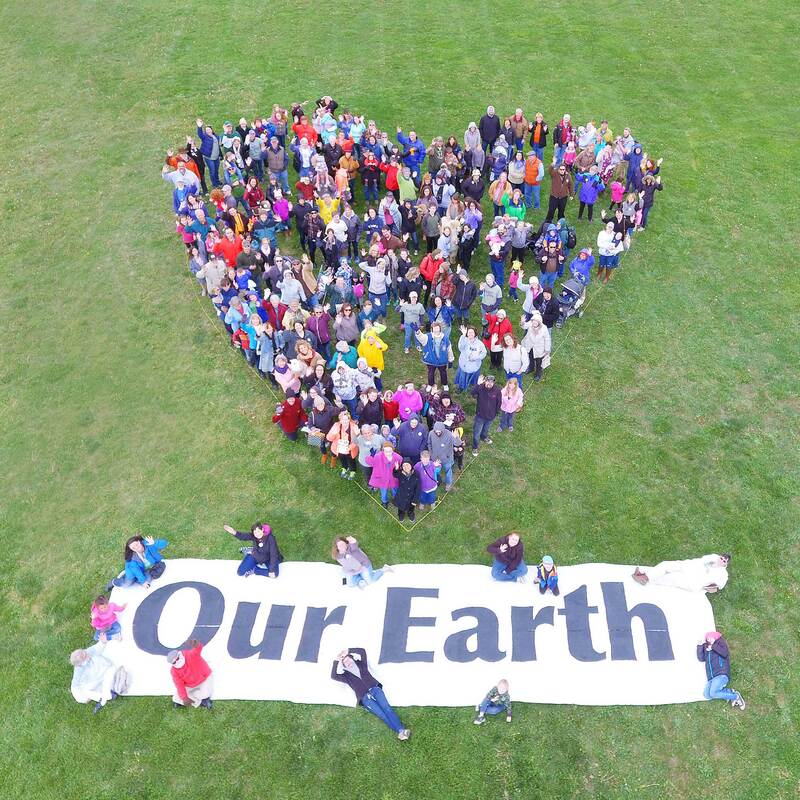 White Violet Center for Eco-Justice, a ministry of Sisters of Providence of St. Mary-of-the-Woods, held the 20th annual Earth Day Festival and Craft at St. Mary-of-the-Woods College, Terre Haute. The Earth Day Festival and Craft Fair is the largest and longest-running Earth Day celebration in West Central Indiana.